I’d try to reform this situation! One house and two owners. Most of the houses owned by two families provide an inexhaustible source of inspiration. Some of them have been rebuilt some have window frames painted in different colors. Author ivan_hafizovPosted on 22.08.2014 Categories NewsLeave a comment on One house and two owners. 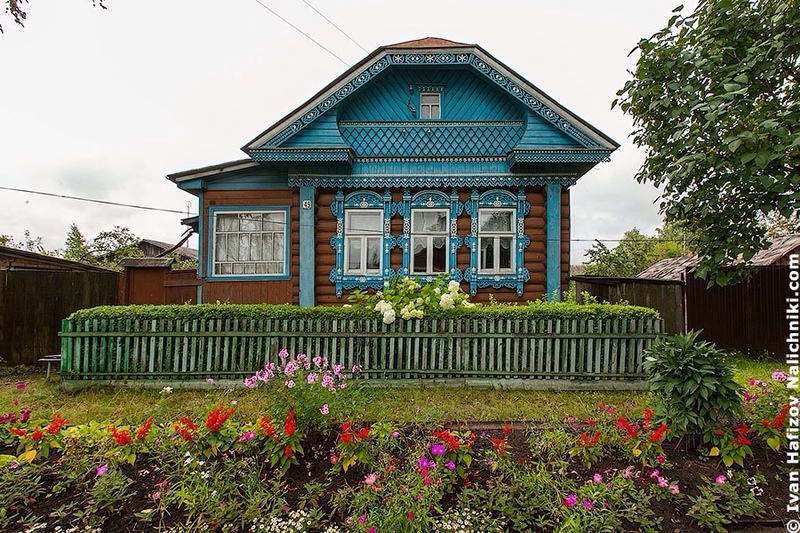 This is the case with this nice house from Sudogda, Vladimir Oblast. One may think it is to be very cute. No, it is rather ordinary, whereas the ones of its kind are shabbier. 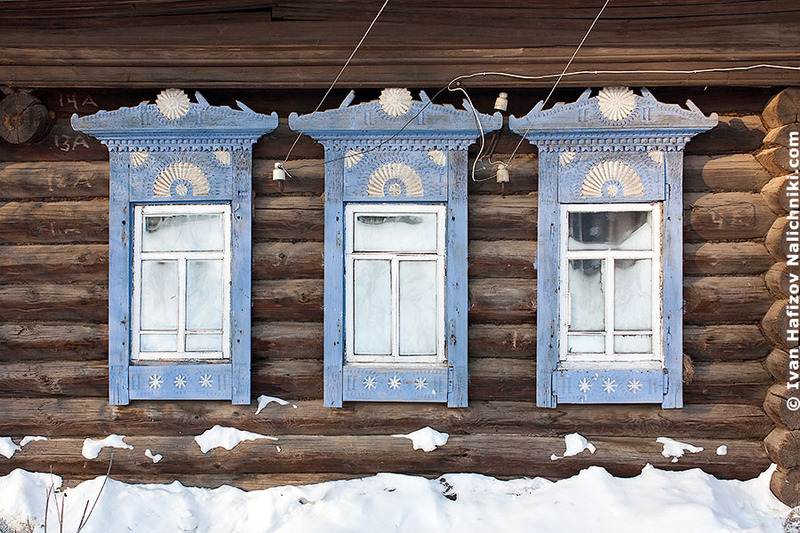 Window frames of Kostroma as well as those from Ivanovo are rather bright against the façade. But then, it is understandable: in the XIXth century, the place had been a fast-developing merchant centre and each owner tried to show its house off. And the owners of this house not only follow this trend in the XXI century, but used the most acid yellow ever existing! An incised carving is much older than a saw-through carving. In olden times, this technique, or, rather, this particular style –geometric – frequently decorated spinning wheels, cradles, spoons and other pieces of household. 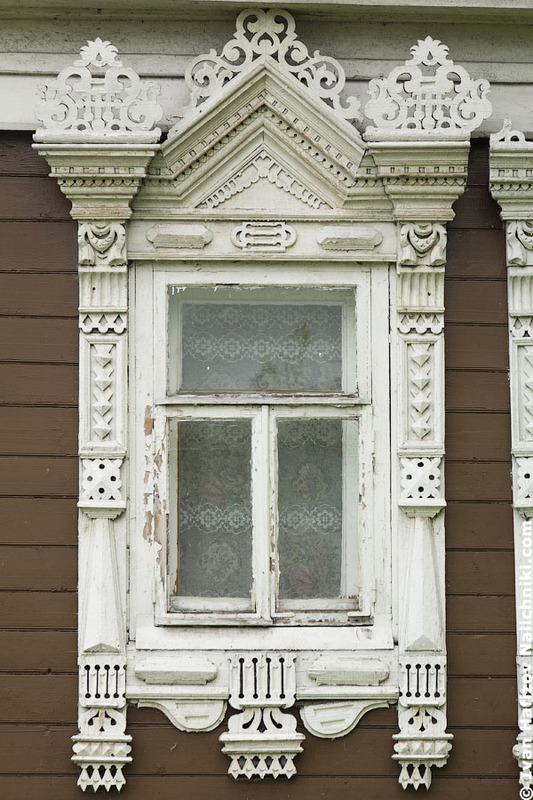 There are few surviving window frames decorated in this technique. A funny thing happened to me in Alapayevsk, where I had taken the photo. The place has very nice Cathedral Square with magnificent churches: after all, Alapayevsk is a gate to Siberia. Local museum is also there. I enter and walk through its exposition. An aged woman, a museum custodian, first throws some curious looks to me, and after a while dares to address. – You are not local, aren’t you? – begins she. -No, somewhat farther: from Moscow. -Oh, that far! – she exclaims and throws her hands up. – Since 1984, no one has come here from Moscow!!! Once upon a time Red Riding Hood went through the forest towards grandmother’s house and came to…. Gavrilov pasad! 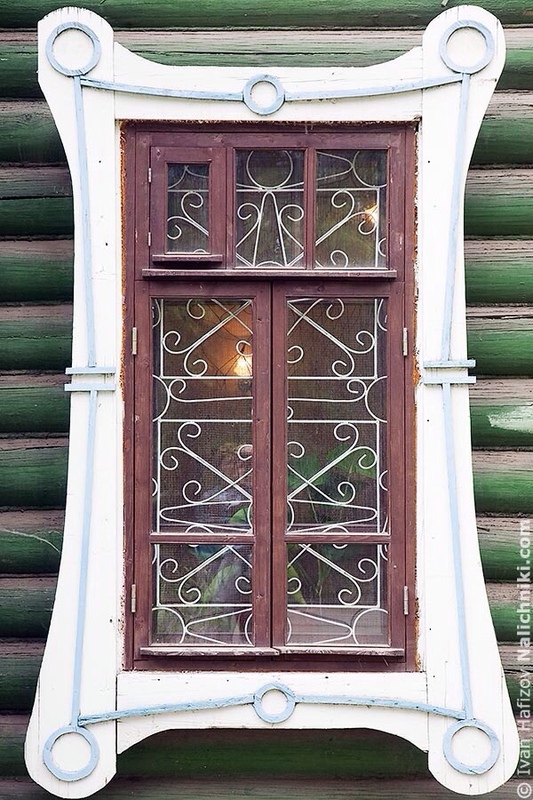 A window with a carved frame four times greater in size. 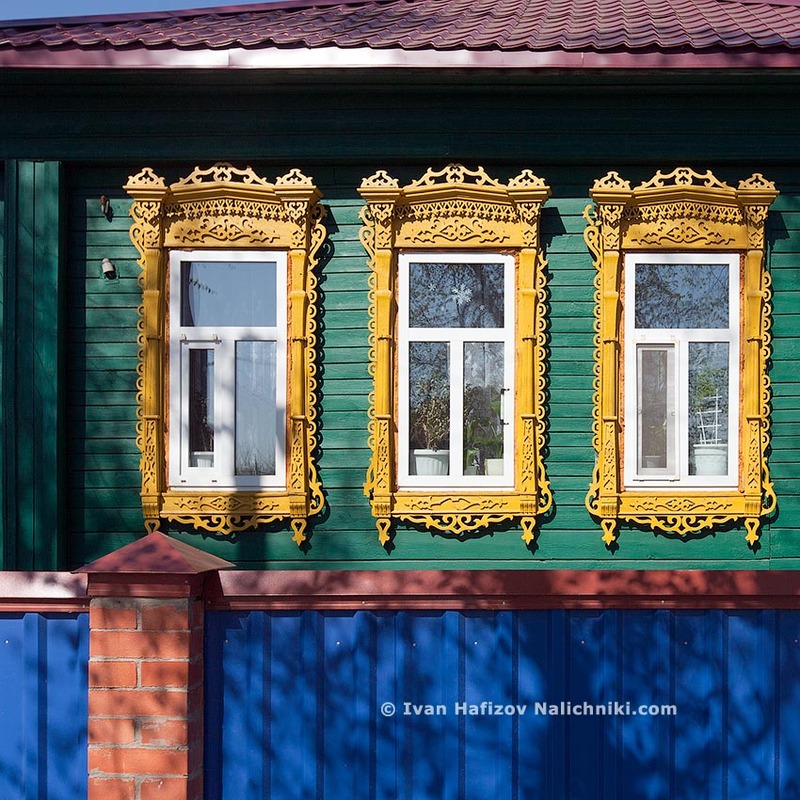 What is especially pleasant about window frames from Rostov in particular and Yaroslavl Oblast in general is a unique sense of harmony in the persons who had carved them. Here, the task was hardly realizable: to surround a window with a carved frame four times greater in size. Plain, laconic and almost stately! 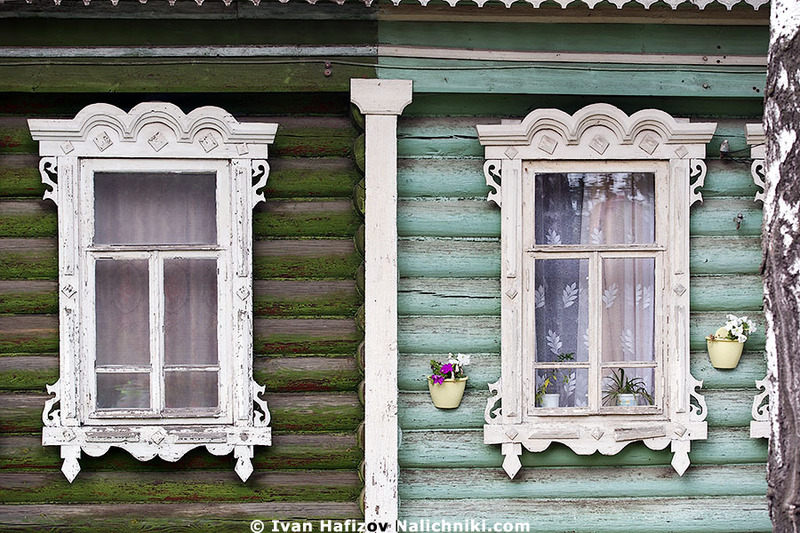 Author ivan_hafizovPosted on 07.08.2014 Categories NewsLeave a comment on A window with a carved frame four times greater in size. A mansion of the Merchant Sorokin. 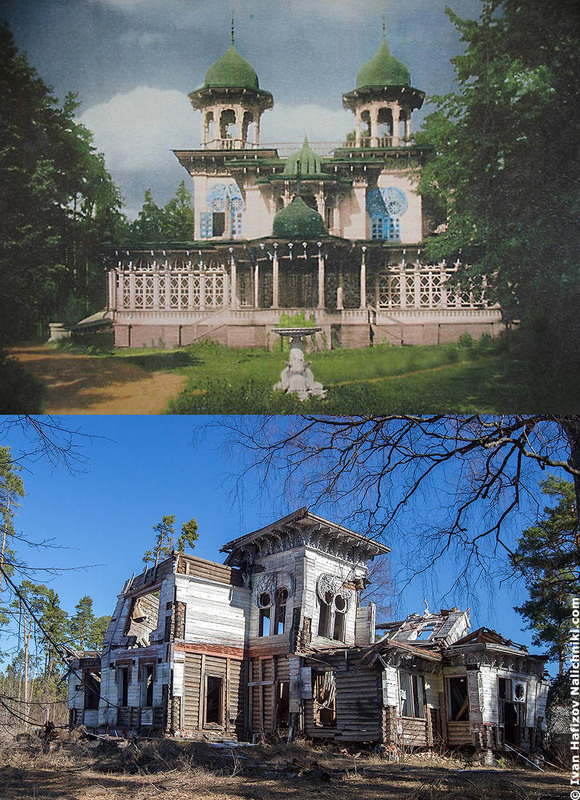 It is a sad thing to say, but both these photos show the same site – a mansion of the Merchant Sorokin. 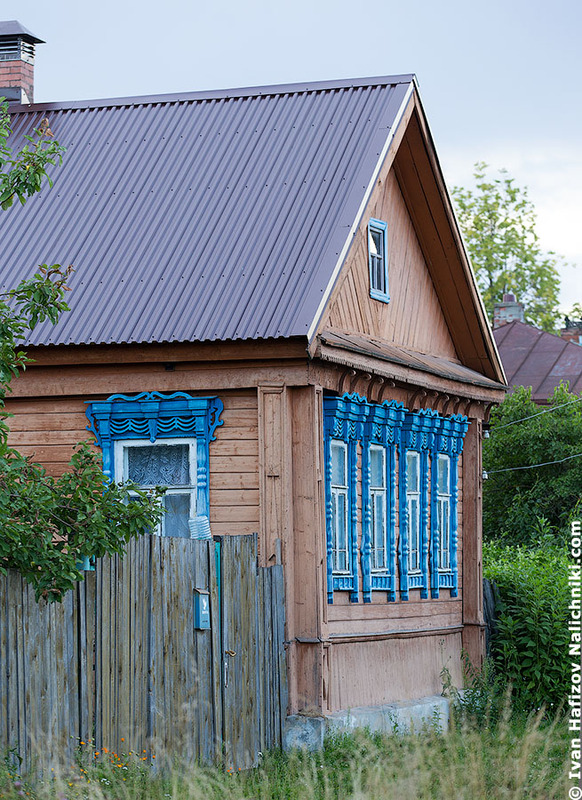 Its history is quite curious: back in 1868, the house was a pavilion at a Nizhny Novgorod exhibition. Sorokin purchased it, then brought to Tutayev (Romanov-Borisoglebsk in those days) and put it there, straight at the bank of the Volga River. For approximately fifty years, the place was its owner’s country house. After the October,1917, it was turned into the summer camp for the children of the militiamen of the Yaroslavl Oblast. The result is that by early 1990s, the house had got rather dilapidated. Author ivan_hafizovPosted on 05.08.2014 Categories NewsLeave a comment on A mansion of the Merchant Sorokin. 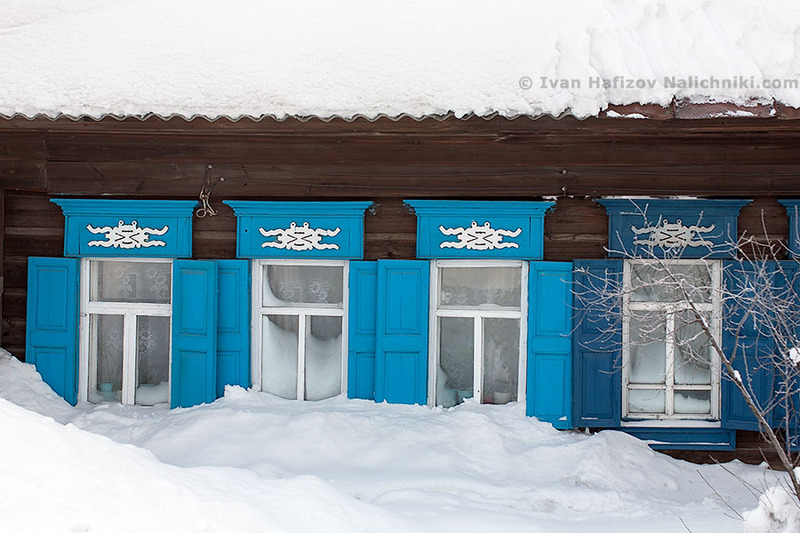 I just came back from the frost, and that pushed me to find a photo of snow-covered frames. 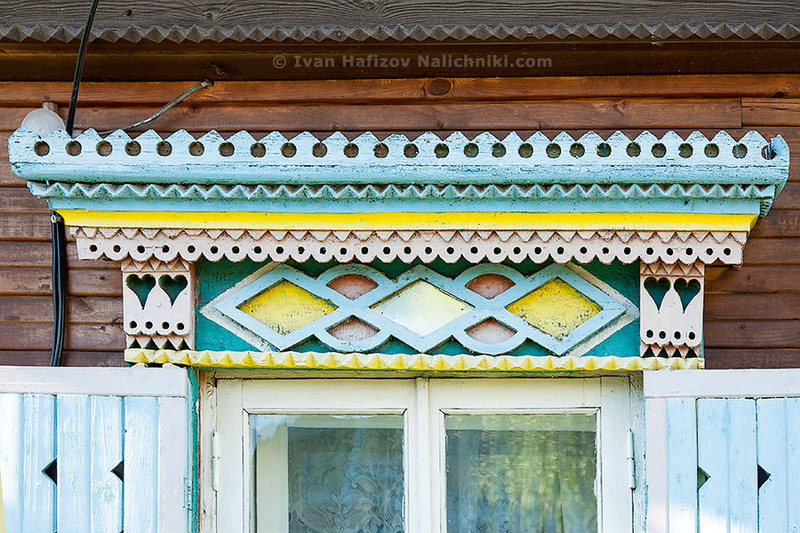 This is the one – from Alapayevsk, Sverdlovsk Oblast. I called them frozen crabs from Alapayevsk! It came to my mind they had been brought from the south and, at first, they were below the windows, not above them.